Just in case you can’t imagine that premise, Creep is helpfully here to show us exactly what it would be like in unflinching detail. Meet Kate. She’s German. But it’s not all bad news! Actually, it more or less is: she’s pretty self-centered. She’s the sort of person who doesn’t just politely decline homeless people when they beg for money, she has a visible disdain for them. Kate’s something of a party-goer, and while she’s at one of her usual soirees a chum informs her that George ‘no, I’m not actually in this film’ Clooney is attending another function elsewhere in London. Eager to become Mrs Clooney (though clearly now it’s a bit late for that), Kate decides to head across London to this other party to try to find and seduce the C-Dawg. Unable to get a taxi, Kate resorts to taking the Tube, heading into Charing Cross station in an attempt to catch the last train. She falls asleep and misses it, and when she awakens she realises she’s been left in the locked station all alone. Feeling foolish, she goes back to sleep, wakes up the next morning and sheepishly goes home. The end. Okay, not really. 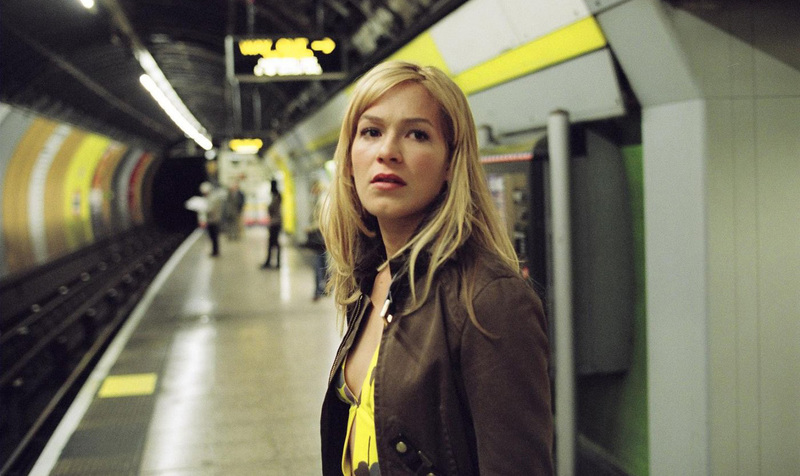 While trying to find a way out of the station, Kate hears another train pulling into the platform. Confused, she boards it, even though the last train is gone. Good news: Kate’s work colleague Guy is also on the train. Bad news: Guy is significantly more rapey than most men are supposed to be (i.e. not at all). Good news: Guy is dragged out of the train by an unseen killer who brutally attacks him. Bad news: That means there’s an unseen killer brutally attacking people. Thankfully, Kate manages to escape and finds Jimmy and Mandy, two homeless folks living in a secret compartment inside the station. Oh, and Jimmy’s Scottish, because homelessness. Sigh. Offering to pay them (oh, the irony!) to help her, Jimmy reluctantly agrees to help, leaving Mandy behind and thereby causing her to involuntarily break the horror film rule of sticking together to avoid becoming the killer’s next target. Without spoiling too much, Kate, Jimmy, Mandy and another chap Kate later meets called George all find themselves stuck in an underground and sewer system inhabited by Craig, the aforementioned deformed killer. Can Kate escape Craig and do what many tourists have failed to do over the years: make her way out of Charing Cross station with both her life and sanity intact? Creep is a fantastic looking film. Shot partly on location on a disused platform on the Jubilee Line and partly at Three Mill Studios in London, it does a great job of making things look as bleak as possible. There’s barely a location in this film you’d fancy visiting for any real length of time. Craig is also a brilliant movie monster. Disgusting to look at and genuinely brutal (I defy you to watch one absolutely horrendous scene in particular involving Mandy without doing so through your fingers), he fufils the film’s title by being creepy and then some. So much emphasis is put on villains looking scary in modern horror films but Craig is also also one of the better-sounding monsters of recent years too. His tendency to belt out horrendous, inhuman screams and screeches is properly effective stuff. However, Creep suffers due to one simple fact: Kate’s a cow. It’s rare that a horror film makes its protagonist a nasty person, and there’s an obvious reason for that: if their death is a real possibility, you’re going to have to make the audience care enough about them that they don’t want to see that happen. On the very rare occasion the hero is an arrogant prick, this is either addressed by them being a lovable rogue (Ash in Army Of Darkness) or them seeing the error of their ways as the film progresses and eventually becoming good. By introducing our ‘heroine’ as a homeless-hating wannabe starfucker however, then showing her continued reluctance to team up with the homeless couple later on, it’s hard to get fully behind her because you can’t shake off the feeling that when she’s no longer in danger she’ll go back to her old self-centered ways. It’s a shame, because other than this fairly major flaw, Creep is effective. It’s atmospheric, has a brilliant monster and does a good job further enforcing my belief that the Tube is evil. Sadly, what makes it merely ‘good’ instead of ‘great’ is a protagonist who’s too difficult to emotionally invest in. And, as ever, if you don’t invest much into it, you can’t get much out of it. 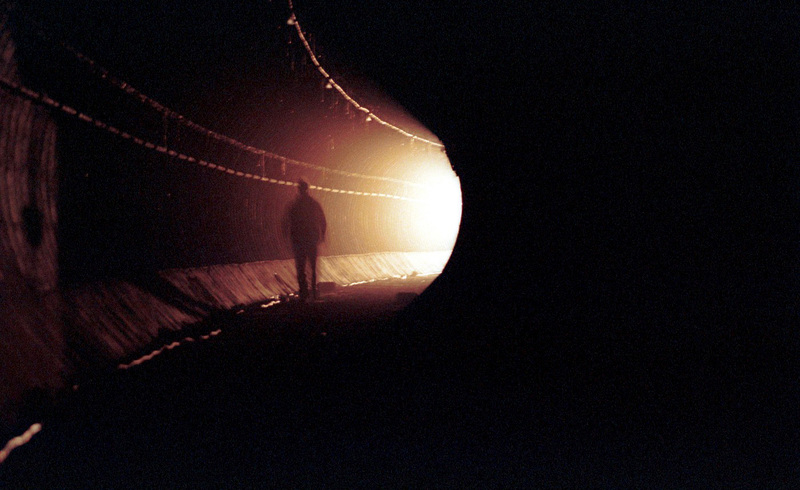 Creep is only available on DVD – here’s the UK one and here’s the US one. It currently isn’t available anywhere for streaming.